Another Drucker’s book. This is a good tool for people to start thinking. Why things exist, why I am here, the most effective use of limited time, and so on. It is not a how-to book that teaches how to think right, rather, the right thinking. 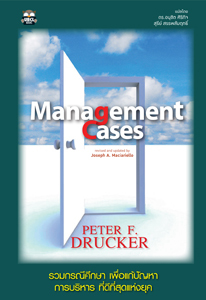 It is quite a good teaching material for students of management as well as corporate employees and business owners.